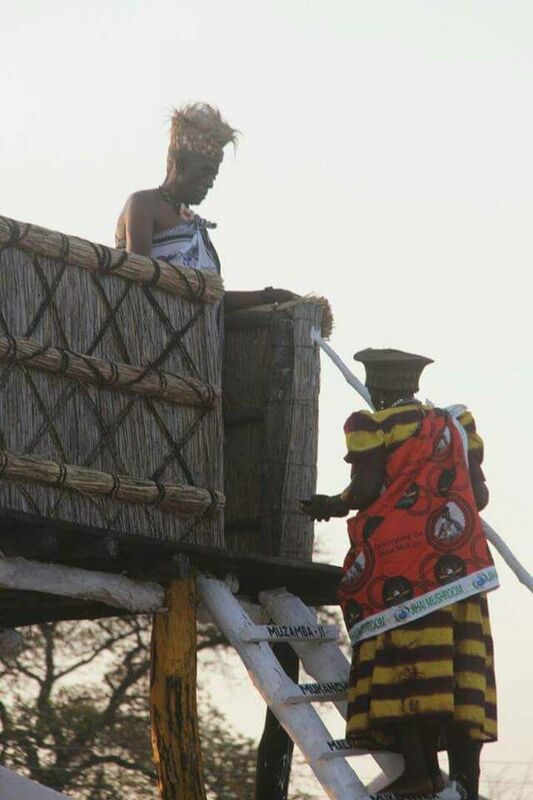 It was a double celebration – the release of opposition UPND leader Hakainde Hichilema and the Lwiindi traditional ceremony of Senior Chief Mukuni of the Tokaleya people of Kazungula at Mukuni Village in Livingstone. 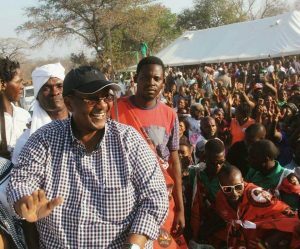 Thousands gathered at Mukuni Village Saturday, September 23, 2017 not only to celebrate the annual traditional event but to toast the release of the UPND preaident who is a business partner of Chief Mukuni. Senior Chief Mukuni stood up for Hichilema during his incarceration on trumped up treason charges that he had moved from Livingstone to Lusaka. 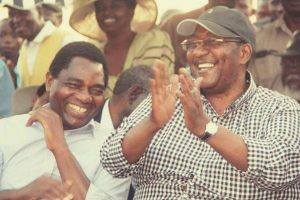 He took on government for the arrest of Hichilema. All the UPND wards in Livingstone had been assembled and ferried for the event by Friday. “We shall be celebrating the release of our President and the Lwiindi ceremony,” one of ward leaders who chose to remain anonymous told Zambian Eye in Livingstone. “This is the best Lwiindi ceremony ever. 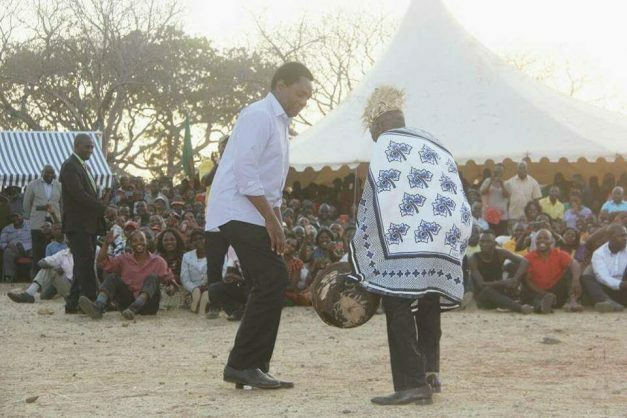 Hichilema according to organisers had donated 10 herds of cattle while the Chief gave six to feast the guests. Chief Mukuni is one of the richest traditional leaders in Zambia. 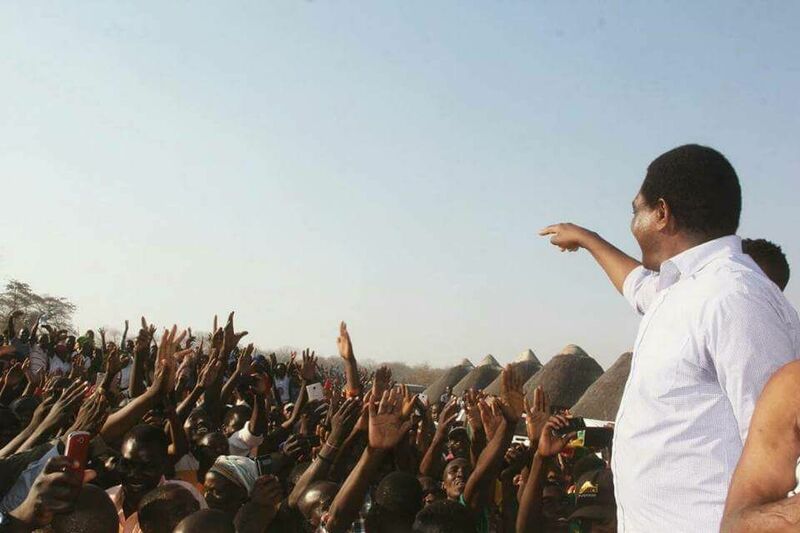 During the incarceration of Hichilema, he is reported to have told Chiefs to rally behind him and that he would pay them their K15, 000 monthly allowance if President Lungu withdrew for their support for Hichilema. Over 20 traditional leaders were invited for the event. Hichilema and his senior offcials that included his Deputy attended the event. This afternoon, we attended the Bene Mukuni traditional ceremony in Livingstone. This is part of our partnership building agenda of involving traditional leaders in the development of our country. We hold our traditional leaders in high esteem because other than being partners in development, they are also the custodians of our values and culture. We also appeal to all the traditional leaders to work together to ensure peace and stability in the country. Their job as elders cannot be over emphasized. We are of the view that whenever the country is undergoing difficult times, it is important that traditional leaders unite to foster unity and not take partisan lines. We reaffirm our commitment to working with the traditional leaders across the country while preaching peace and inclusive national development. And our call to our fellow politicians is that let us respect traditional leaders and work with them amicably in the interests of the country. We would like to thank Senior Chief Mukuni of the Toka Leya people for this invitation. We also call on our fellow citizens to preserve our culture by attending such ceremonies to fully appreciate the value of our practices. We were accompanied to the ceremony by the MMD Leader, Dr Nevers Mumba, People’s Party Leader, Mr Mike Mulongoti, Alliance for Democracy and Development, Mr Charles Milupi, our party Vice President, Dr Geoffrey Bwalya Mwamba, party Secretary General, Stephen Katuka, Former First Lady Dr Maureen Mwanawasa and several other senior party officials and senior citizens. Was the government represented at this event and if so by who?